You are looking at a very nice 1966 Volkswagen Beetle. The car looks just as good in the photos as it does in person. The paint and body is in good shape, but does have a few small chips and marks from general use. There are no signs of any accident damage or rust. 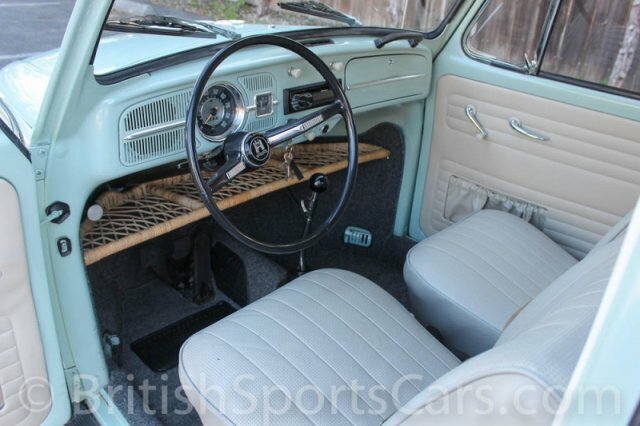 The interior is all super clean and free of any rips or marks. The headliner, as you can see in the photos, is not perfect. The car has been converted to a 12-volt system. It runs and drives excellent and gets lots of attention. This is a really nice Beetle at an awfully reasonable price.